The best selling washable bed pads in the UK! Kylie® is the original washable absorbent bed pad. It’s so popular that often people use the name “Kylie® sheets” and term “Washable bed pad” interchangeably. Kylie® Sheets and Kylie® Bed Pads are the same thing and refer to washable absorbent bed pads. But not all washable absorbent bed pads are the same. The Kylie® bed pad is unique in the way that it’s made. The intention is to move moisture away from the skin as quickly as possible, and not to let the moisture stay against the skin. Skin that is in close contact with urine can degrade, causing rashes and infections. Kylie® Bed Pads draw the moisture deep inside and don’t let it stay on the skin. This will mean the user has a good undisturbed night of sleep, and in the morning, the pad can be removed and laundered without laundering the rest of the bed sheets. Having a Kylie® on the bed will reduce time in stripping the bed off and washing the sheets. The pad has tuck in flaps to keep it in place on the mattress. For users that are likely to wet the bed every night, you can use the Kylie pad right on top of the sheet. 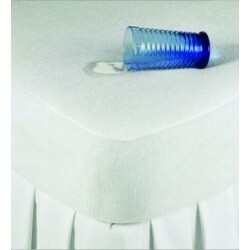 For people that have a wet bed less often, you can place the Kylie® pad under the sheet. Kylie® washable absorbent bed sheets are often a better choice than body worn products (nappies or pull-up pants) for bedwetting. Especially where children are involved. They might be self conscious about other products, but the Kylie® Bed Pad can be placed over the sheets, is comfortable to sleep on and offers excellent incontinence protection. For parents, Kylie® pads can be very useful, as if the pad is wet during the night it can be removed and replaced with another. This causes minimum disruption and lets your child get back to sleep as soon as possible. Talk to almost any nurse or carer in a care home and they will tell you that they use washable bed protection on the beds of their residents. 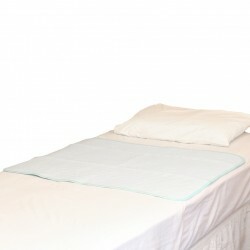 Again, the care staff are often busy and using washable absorbent bed pads will save them a lot of time. The costs are also controlled as you can wash the Kylie® bed pad in a washing machine at 95°C at least 300 times. Compare that to the cost of disposable pads and you will see a clear cost saving. Not only that but disposable pads don’t offer the same level of absorbency as a Kylie® pad. The most absorbent Kylie® contains up to 5 litres of liquid, far more than any disposable pad. All Kylie® Bed Pads have a 50cm mattress tuck sewn on to the left and right side of the pad to allow you to tuck under the mattress and hold the bed pad in place. Kylie® Girls Washable Training PantsNormal Pants With A Waterproof Absorbent Lining for age..
Abena® Abri-Flex Disposable Pull-Up Incontinence Pants Discreet and effective protection that ..
Goodnight® Washable Absorbent Bed Pads Cost effective bed protection..
Abena® Abri Form Junior Children's Nappies Abena® Abri Form Junior XS 2 ..
￼￼￼￼￼Kylie® Total Bedding Protection Ultimate Bedding Protection from Kylie® - Bund..